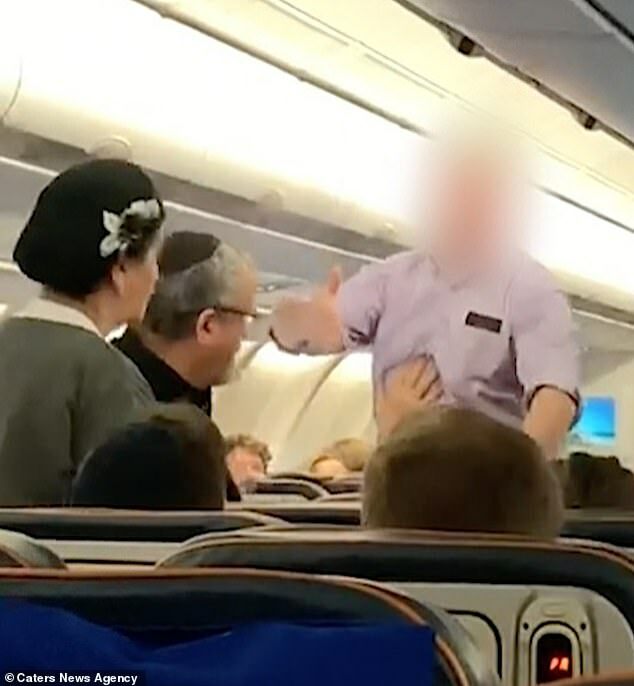 A bizarre argument broke out on a plane as an irate passenger demanded to shake the hand of a fellow flyer. Nikita Groz was sat waiting for his flight to New York to leave Sheremetyevo Airport in Moscow when he spotted a fellow American 15 rows in front of him. 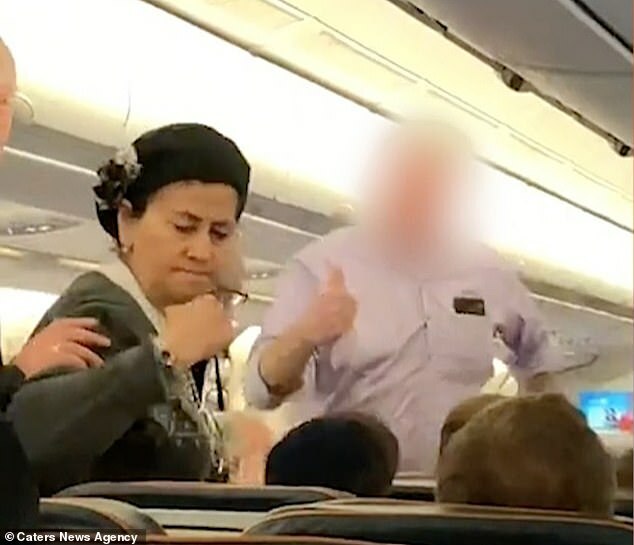 His footage captures the moment the man, dressed in a smart lilac shirt, suddenly becomes annoyed and storms towards a couple stood in the aisle, shouting 'I'm going to shake your hand' repeatedly.